In February 2017, the Government of South Sudan declared famine in parts of South Sudan. About 4.9 million people (42% of the population) were estimated to be severely food insecure and this was projected to increase to 5.5 million people, (47% of the national population) at the height of the 2017 lean season in July. PWRDF funding was used by Finn Church Aid in Northern Fangak which provided cash grants to 1,000 vulnerable households in February 2018. 500 households were also supported with seeds, tools and trainings to improve food production to assist them cope-up with food insecurity through agriculture-based livelihood activities in Fangak County. The project reached 1799 households comprising 8,960 individual beneficiaries (3,607 men and 5353 women) in 7 Payams of Kapoeta North county. Monthly household ration of 45 kg sorghum, 6 kg beans, 4 liter of cooking oil and 900 gm of salt were distributed for 3 months. Total food quantities included 201.60 MT of sorghum, 26.88 MT of beans, 16.13 MT of cooking oil and 4.03 MT of salt. This Project involves funding from Global Affairs Canada through CFGB plus PWRDF equity, PWRDF was the lead organization. South Sudan Council of Churches (SSCC) Regional women program in Wau conducted the following consultative meetings with women from the former 4 states of Greater Bahr El Gazal Region: Kuajok, Aweil, Yirol, and Wau. The project objective was to train SSCC regional women on peace-building in Greater Bahr El Gazal and emphasized the role of women in peace building. These meetings have laid the groundwork for Women Link for Peace initiative. This SUDRA appeal was shared with and jointly responded to by agencies related to the Anglican Communion and beyond. 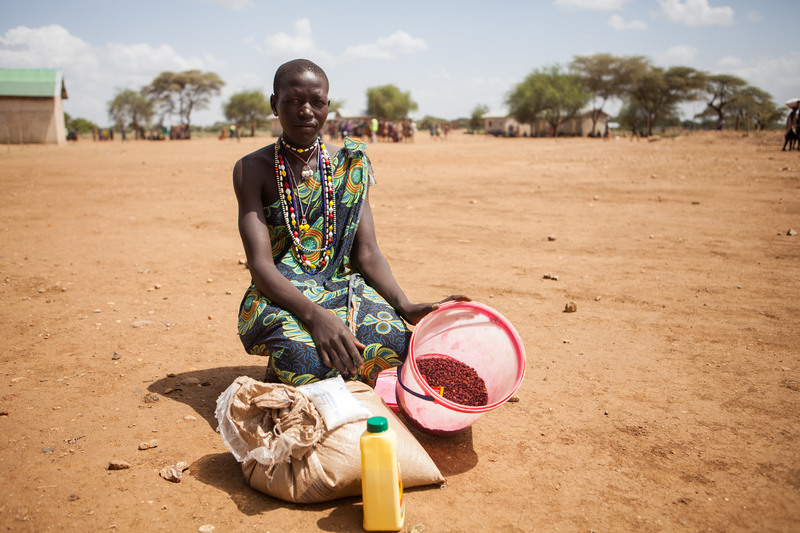 Funds were used to cover the urgent needs of the famine affected people in Rubkona county of former Unity state. Beneficiaries were provided with cash for food rations that included sorghum, beans, vegetable oils and salt. This project has increased confidence, healing and skills of some 500 women in Bor, South Sudan by providing sewing and literacy training through healing circles. The project ran two basic HROC (Healing and Rebuilding our Community) workshops in Bor, Jonglei State at the end of November/beginning of December 2017. The first workshop was help for youth. The second workshop was held with 24 women, most of whom were illiterate and the local language had to be used.